Today, April 9, 2016, might just be a normal day for most people but for those of us in the Outlander fandom today is premiere day! Today, Season 2 of Outlander returns to Starz and WE. ARE. SO. EXCITED! (Some of us may or may not have already watched the premiere during the early release on Thursday…shhhh.) 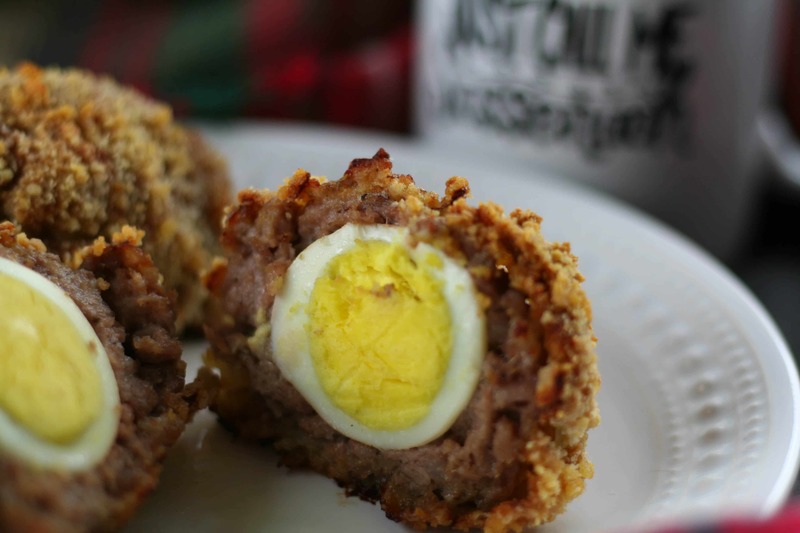 But regardless, in honor of the return of Outlander and JAMMF (my fellow Outlander fans will understand that acronym) I’m adding a bonus post, Gluten-free Scotch Eggs. These really were pretty easy to make and by using cassava flour and gluten-free panko bread crumbs you have a savory gluten-free option for this famed dish. 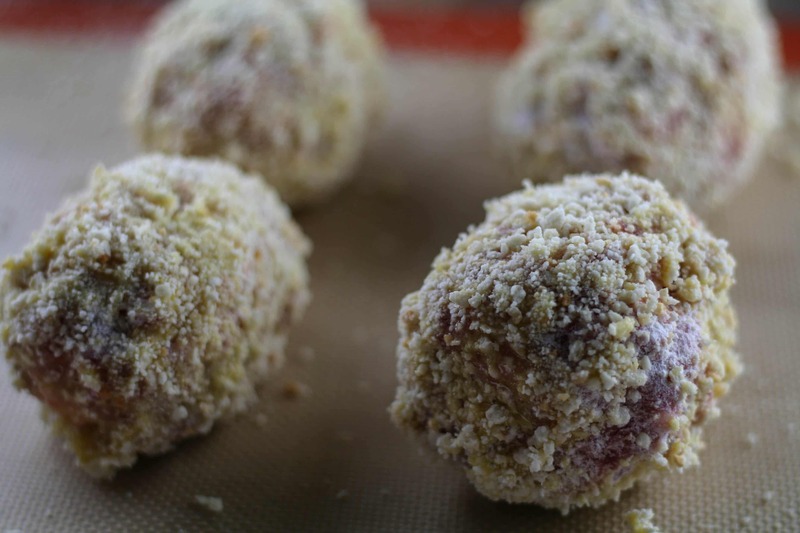 I would call this recipe Paleo-ish because the breadcrumbs are borderline, but it’s okay, it won’t kill you. Boil your eggs ahead of time and it will cut down on the preparation process. 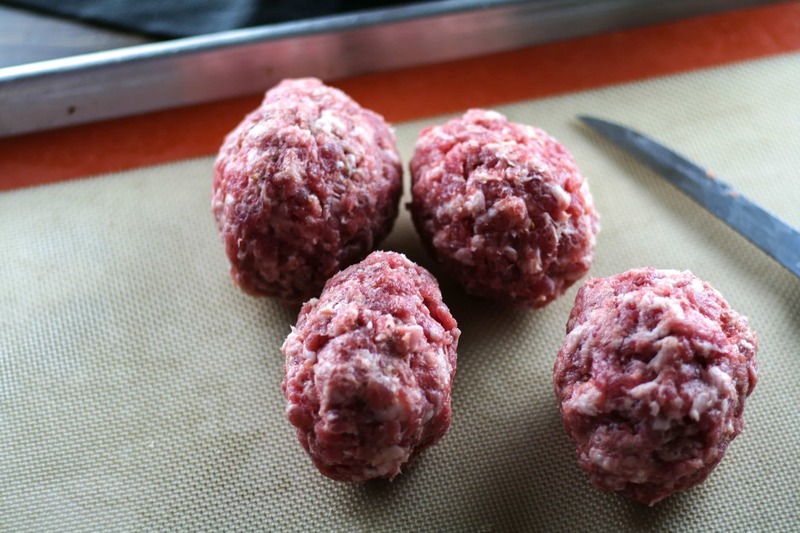 Once you have your boiled eggs wrapped in the sausage, you’ll then dip the eggs into flour, egg, and bread crumbs (in that order). 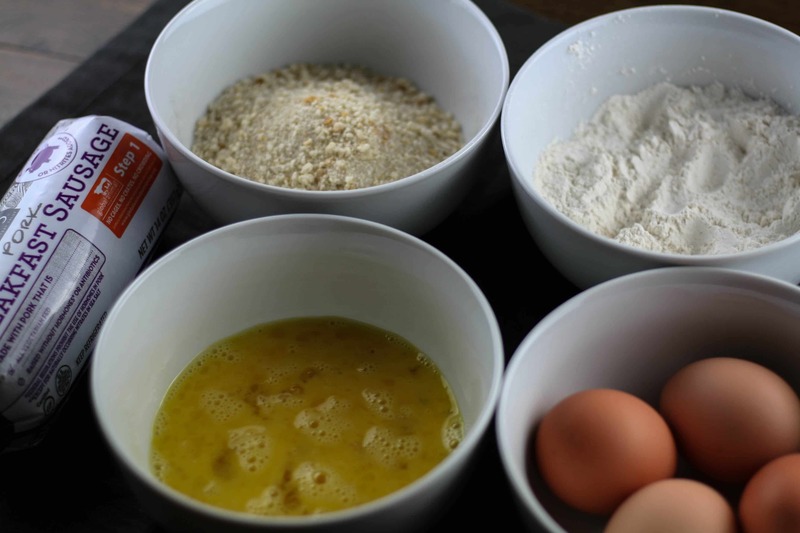 I used Otto’s Cassava flour because it’s my favorite gluten-free, Paleo approved flour. 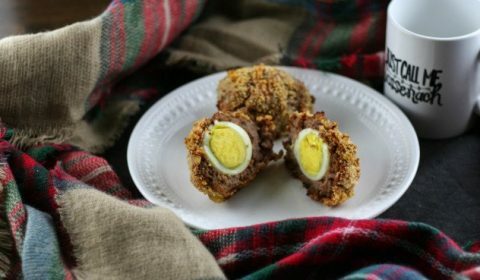 Once covered throw these bad boys into the oven for 35-45 minutes and voila, you have your scotch eggs to devour while devouring JAMMF onscreen! Of course, I had to drink my coffee out of my ‘Just call me Sassenach’ mug. 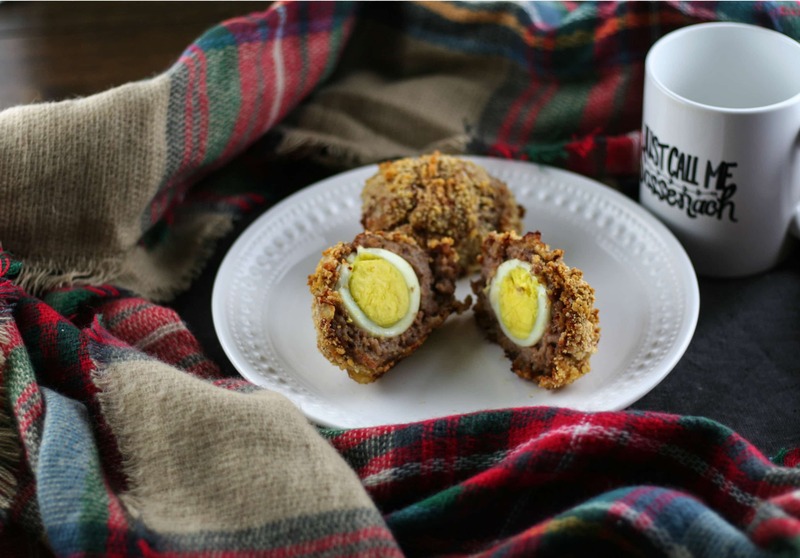 Enjoy your scotch eggs AND Outlander this weekend! Whisk two eggs for the breading process. 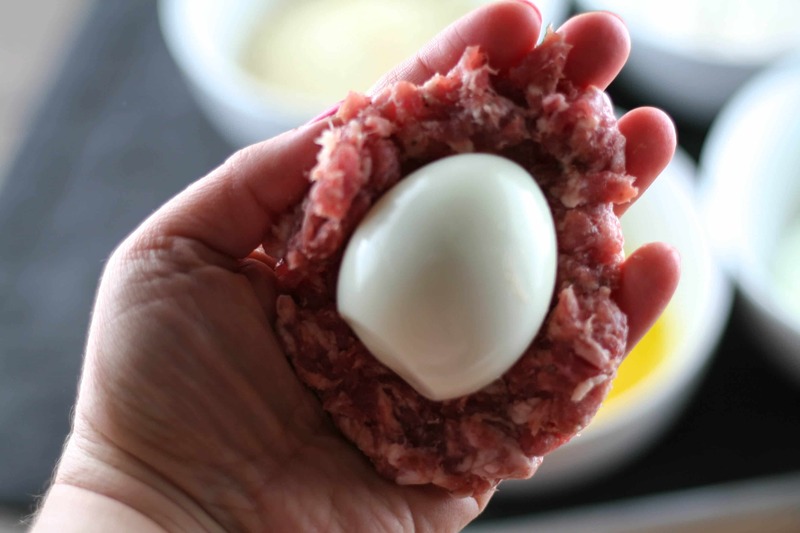 Wrap each hard-boiled egg in sausage until fully covered. 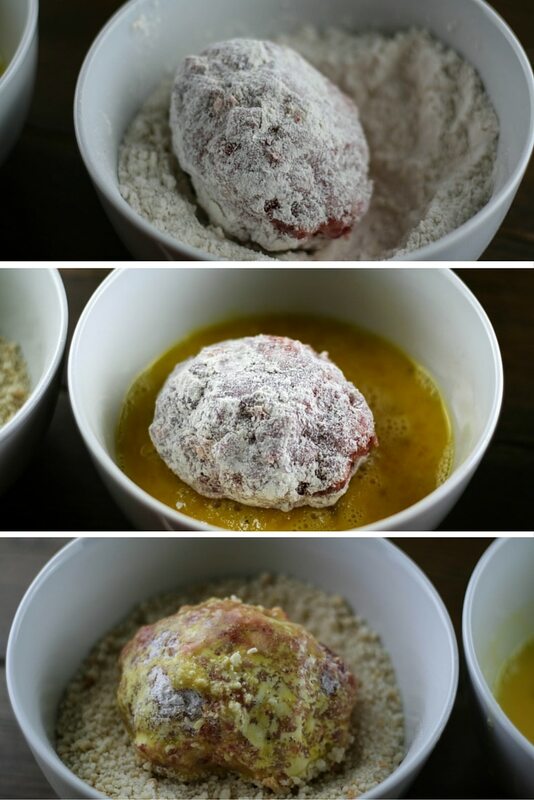 Roll the egg in flour, then egg, then breadcrumbs. Place onto baking sheet and bake for 35-45 minutes.